The Social Semantic Web is the data space on the Web where human produced information are enriched and modeled using Semantic Web standards. This vision is enabled by the convergence between Web 2.0 and Web 3.0 but still, it’s far from be put into practice. Moreover, this miss causes drawbacks such as data redundancies and overhead in the development of social applications. In this paper we discuss how, in pursuing the Social Semantic Web vision, a different approach for opening social data to the Semantic Web should be adopted. Furthermore, without reinventing the wheel, we will use existing technologies to define a framework for integrating Social Web and Semantic Web. 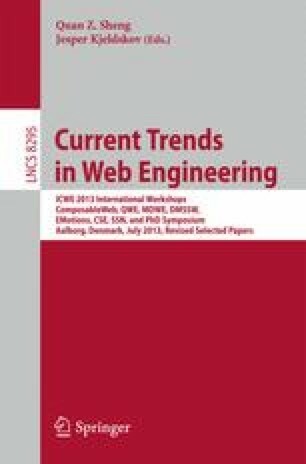 This would help to reengineer or extend the Social Network infrastructures in order to fully benefit from a social Semantic Web.